The AutoCorrect is an essential feature which is designed to correct typos automatically. 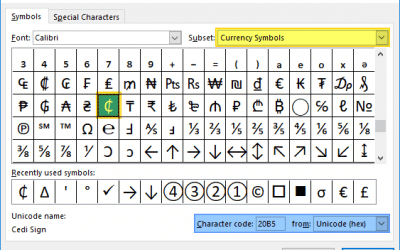 This feature is also helpful for changing abbreviations to full versions, adding symbols, or correcting grammar errors, but it can also sometimes do things in a way that doesn’t fit your needs. 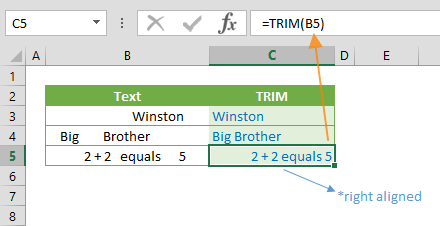 Fortunately, Excel autocorrect rules can be customized! 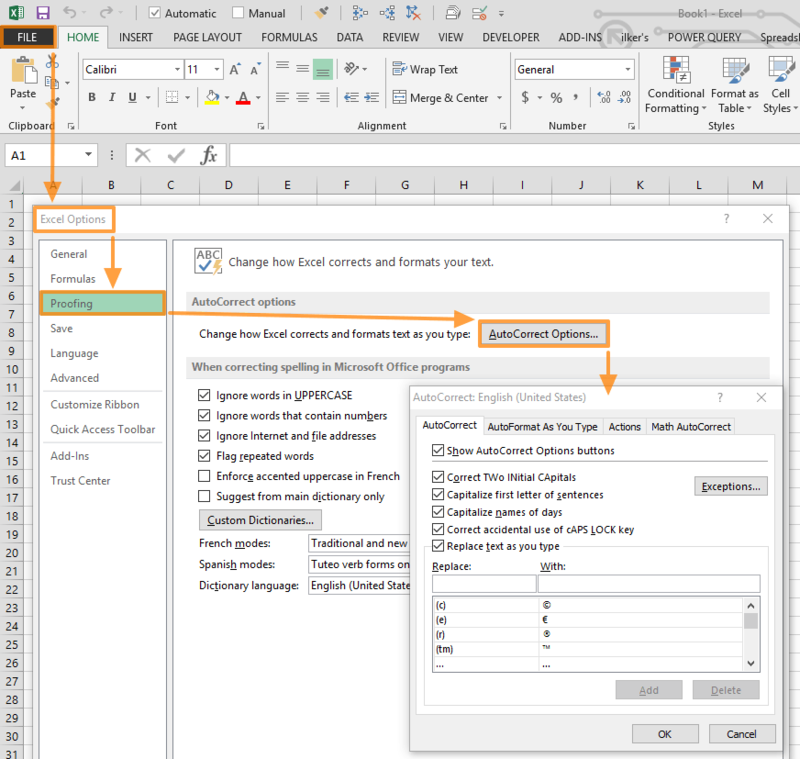 The AutoComplete options dialog can be accessed from Excel Options. Before we begin, note that AutoCorrect options are available in all Office products, and any changes will apply to all Office product. 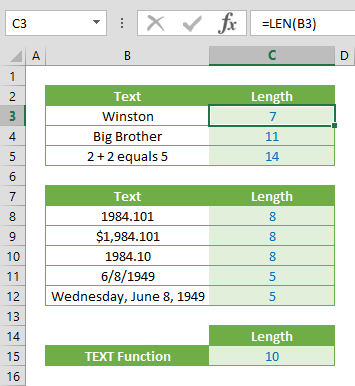 This means that if you disable Capitalize names of days option in Excel, the same setting will also apply to Word. The first option is Show AutoCorrect Options buttons. 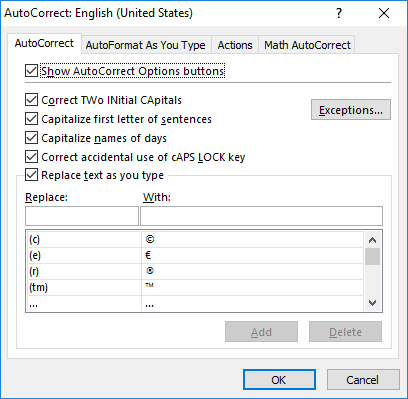 The Autocorrect Options button isn’t shown in Excel by default, but this option is listed in other Office products. The next four options are rules for capitalization. Most options are pretty self-explanatory. Also, you can see that the table contains rules to correct typo errors. 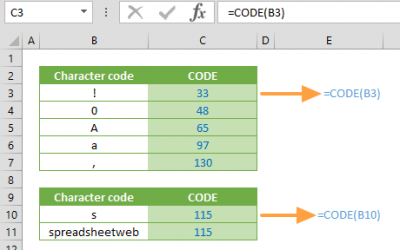 Excel allows you to add your own rules or remove existing ones. Fill in the Replace and With boxes to set the correction you want, and click the Add button. 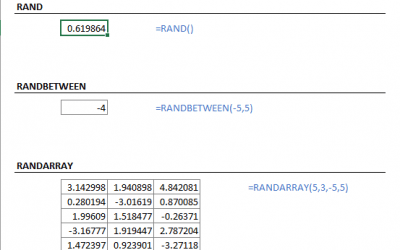 The AutoCorrect does not work in formulas or hyperlinks. 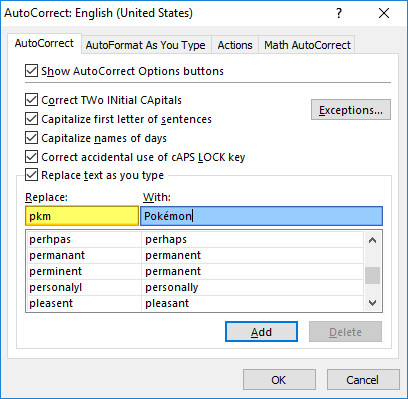 Every change you made in Excel AutoCorrect options applies to all workbooks and Office products. Press Ctrl + Z to cancel auto-correction at any time.